Let Thainamic take care of your catering needs. Our party trays are the perfect solution for your next meeting, event or gathering. Just order online, pick up in store and grab your chopsticks! 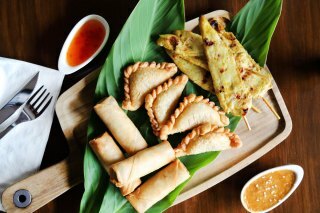 Let Thainamic do all the work for you – we can also delivery to you Leichhardt and nearby suburbs. One of our favourite restaurants, super fresh ingredients and a great menu. Somewhere that actually knows how to treat vegetables properly. Great meal at a great value price. Small place but great for a casual meal with friends. Will be back! The real flavour of Thailand. This little place exceeded our expectations. 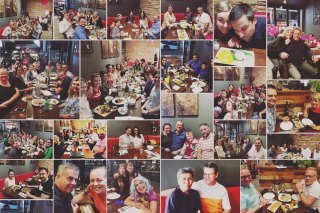 A party of two, no need to book, prompt service, friendly staff, and delicious dishes. Great food and great service! Very enjoyable experience. Thainamic is now my go to for local thai! Fantastic value for money meals in good portions and traditional thai flavours. The delivery time was quicker than quoted and everything from entrees to mains were fantastic. Delicious meals (especially the crying tiger! ), affordable prices. Great service! Also worth stopping for lunch as they have good deals then! Amazing food, excellent service, best price. I am a regular here. Amazing place if you are craving Thai food. Visited the place one evening when we were in a mood for some Thai cuisine. Ordered the panang curry and rice. The curry was as good as my favorite place for Thai, ChatThai. The food here is always fresh and delicious and the staff fantastic. The duck surprise is especially good.